To welcome April, this week will be Food Week, where I will post photographs of the delicious (or not so delicious) food and drink I have consumed here in the Dominican Republic. There will be three parts: Snacks of DR, Drinks of DR, and Restaurant Meals of DR. Vendors both on the street and at the beach will cut up fruit of your choosing. 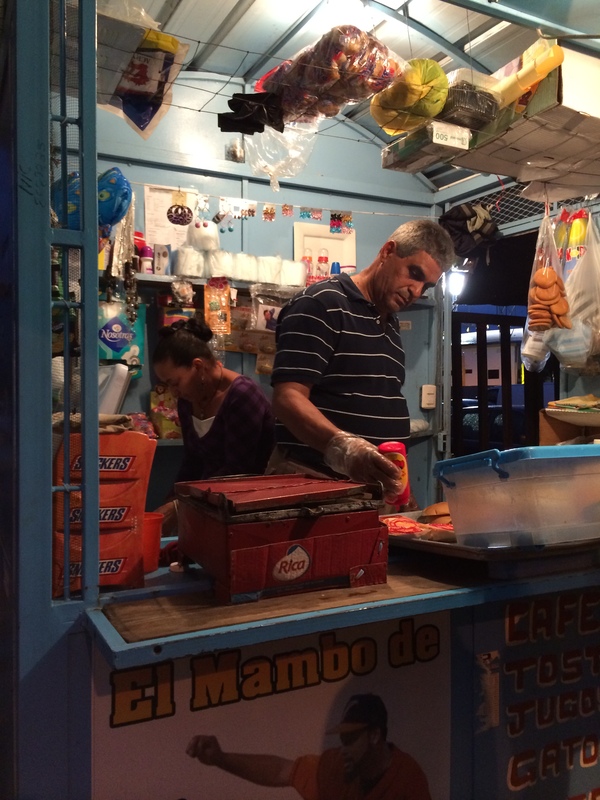 I had a delicious tray of mango and some tangy chinola in Cabarete. 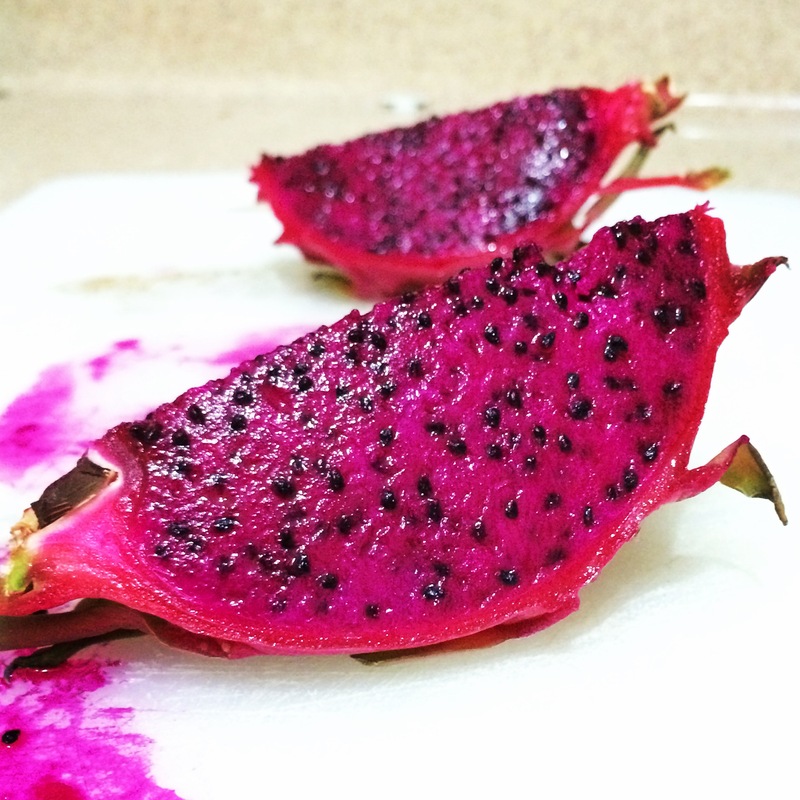 My friend bought a dragonfruit at the supermarket (pitahaya) and we sampled it. It reminded me of a firm, less tasty kiwi. I didn’t love it but I adored the color. 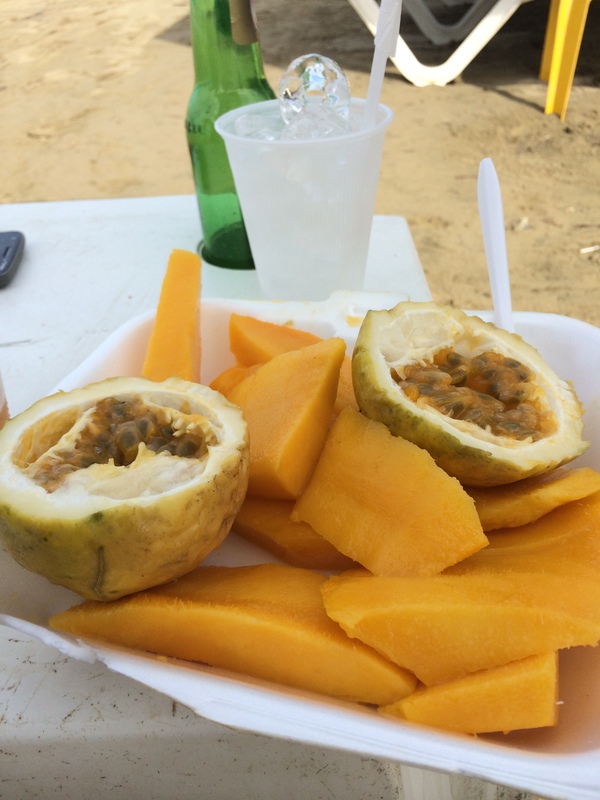 This fruit is not native to the Dominican Republic, but can be found at the stores when it is in season. 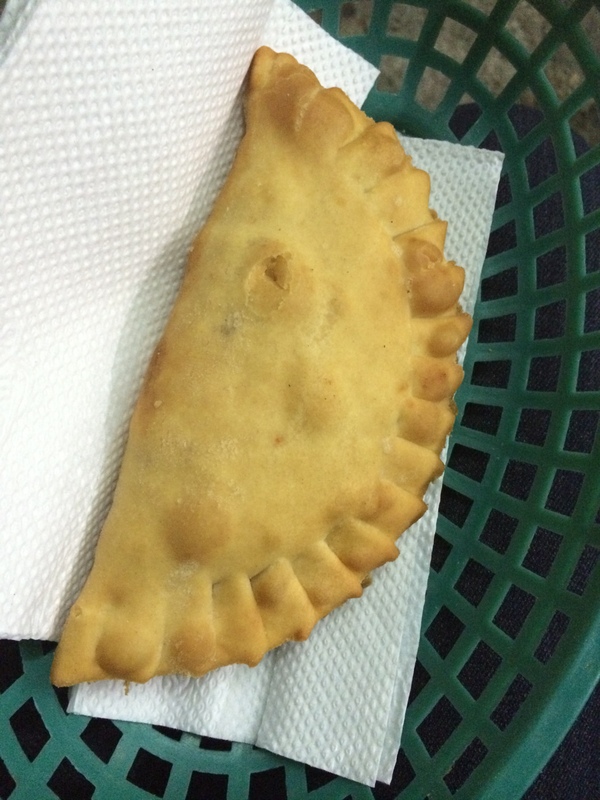 My friend’s boyfriends’ cousin owns Empanada’s Gourmet, a local empanada shop in Gazcue, Santo Domingo. I’ve had one filled with vegetables and on another occasion, a Ricotta and Spinach one. Both were equally delicious. Empanadas are traditionally filled with meat and cheese. 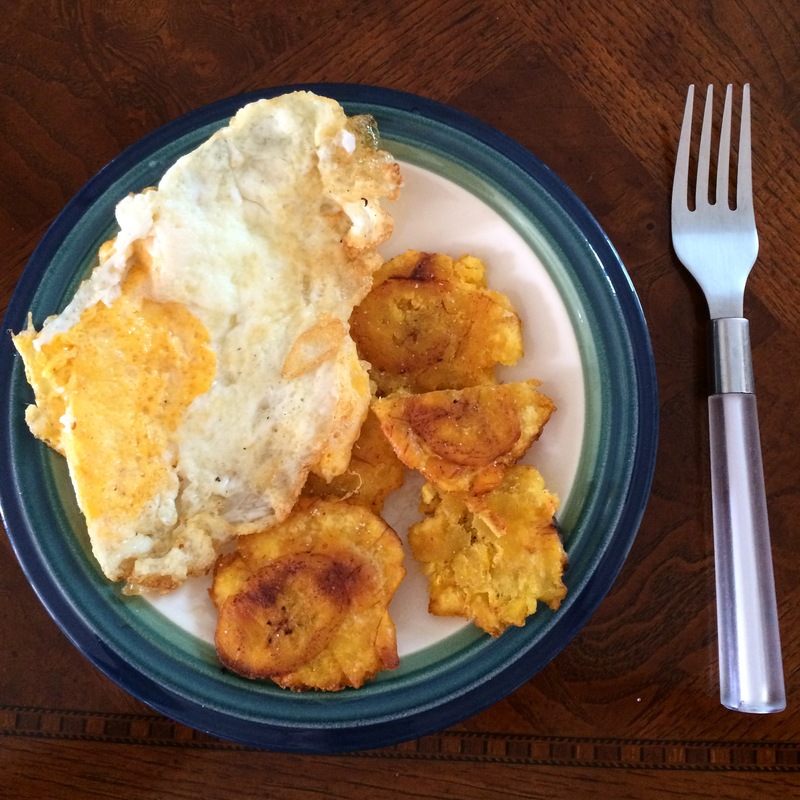 Here’s a cheat because I cooked this one myself but a typical snack could be fried plantains and a fried egg. This street vendor was selling all kinds of snacks in Santiago, such as crackers and candies. Here he is preparing hamburgers. 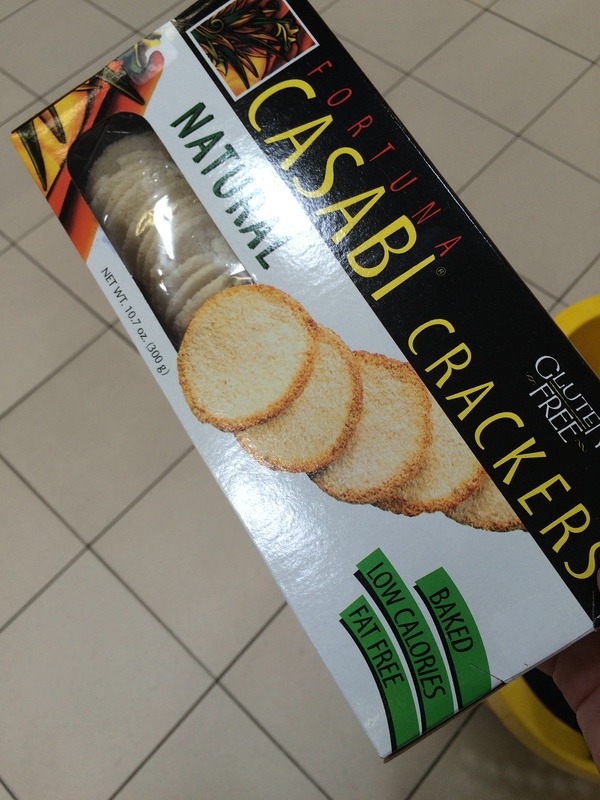 These crackers, made from Cassava (Yuca), a root vegetable, are delicious with jam! I don’t know what the traditional way to eat these is, but I bought mango jam and enjoy the combination. Cassava is a traditional Dominican food that is made into mash, flat cakes, and more. 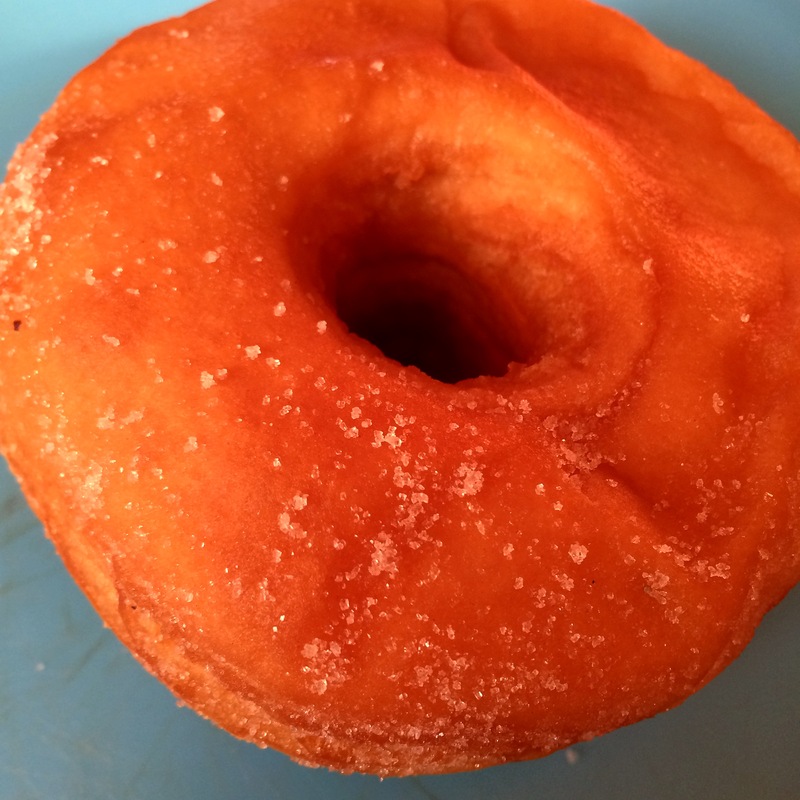 Once I had a strong craving for donuts and decided to try a Dominican Donut. Sadly, it was not moist like the New York donuts I am accustomed to, but still sweet nonetheless. It is considerably denser and drier. Needless to say, I am still searching and waiting for the perfect donut. 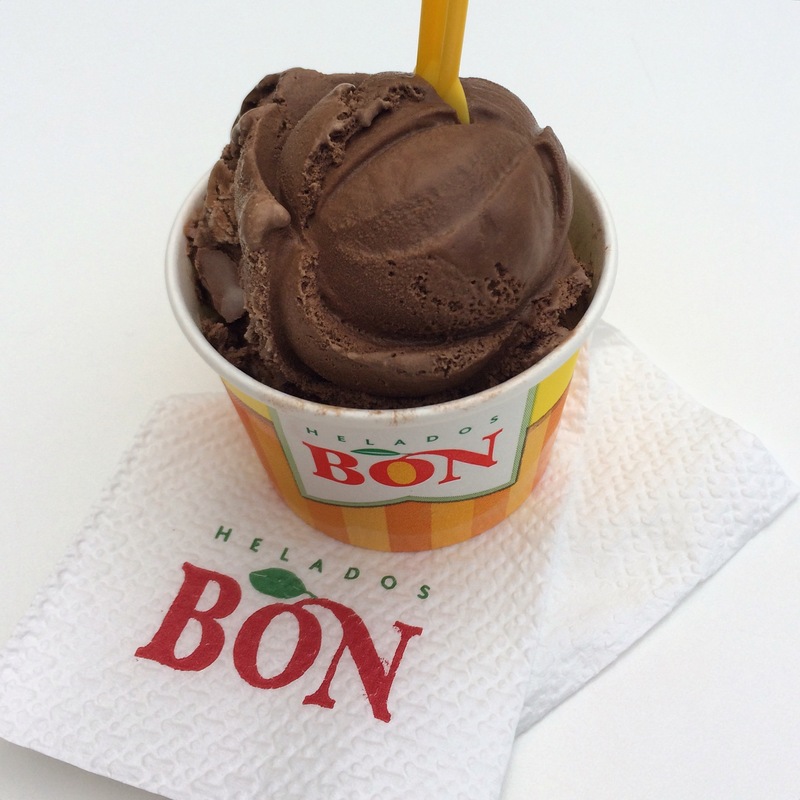 My all-time favorite go-to ice cream is Helados Bon, which costs about one dollar per cup. They also sell Paletas (ice cream bars) both of ice cream and of fruit. 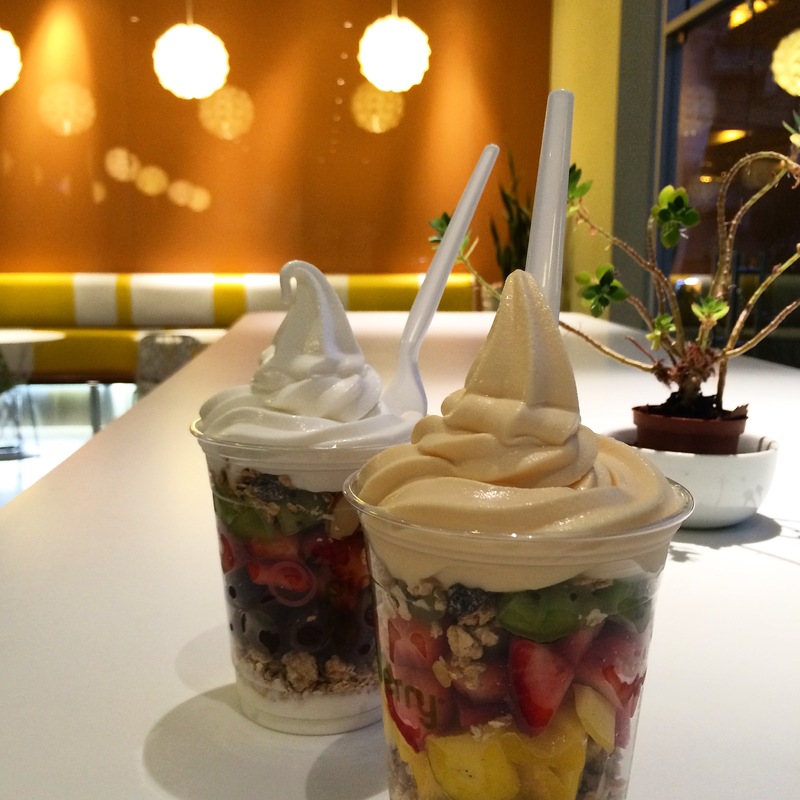 Chain restaurants and ice cream places have popped up in recent years – there are multiple frozen yogurt places such as Pinkberry, Sweet Frog, and Yogen Fruz. Here, we tried plain and mango flavored frozen yogurt parfaits with granola, kiwi, strawberry, mango, and grapes. There you have it! Stay tuned later this week for Drinks of the Dominican Republic.